This month the Irish Public Health (Alcohol) Bill completed its passage through the houses of the Oireachtas, after two years and nine months of debate. The Bill introduces five main interventions: minimum pricing of alcoholic beverages; stricter labelling of alcoholic beverages; restrictions on alcohol advertising; the structural separation of alcoholic beverages from other products in retail outlets; and restrictions on the sale and supply of alcoholic beverages. 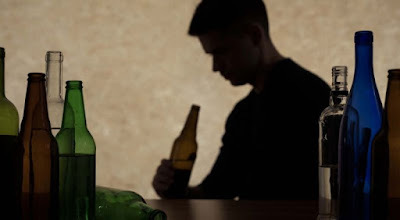 Its purpose is to combat alcohol related harm in Ireland, which has reached worryingly high levels. Health Minister Simon Harris has been obliged to defend various aspects of the Bill in the Irish press, and has described the eventual passage of the legislation as ‘groundbreaking’. This short contribution will focus on assertions that certain parts of the legislation are not compatible with European Union law. Such assertions (usually made by those with vested interests in the alcohol trade) attempt to deploy a vision of the EU internal market as a guarantor of commercial freedoms, in order to intimidate national governments into watering down public health protections. This contribution will address the inaccuracy of these assertions in relation to the Irish Public Health (Alcohol) Bill. In doing so it will identify how governments might also misinterpret European public health law and policy, and how this can lead to regulatory failure. Opponents could argue, and have argued, that any substantive aspect of the Bill will be liable to unduly restrict trade in alcoholic beverages, and should therefore be seen as an unjustified breach of Article 34 TFEU, which prohibits measures having equivalent effect to a quantitative restriction upon trade in goods. However, Article 36 TFEU (which provides for exceptions to Article 34), together with consistent CJEU case law (for example, Aragonesa, Bacardi France, Ahokainen and Leppik, Rosengren and Scotch Whisky Association) indicate that, provided an alcohol control measure is proportionate, it can be adopted despite the fact that it places a restriction on trade. All five interventions in the Bill can be justified as proportionate. Minimum pricing rules can be compatible with EU law as the Scotch Whisky judgement suggested in the context of Scottish minimum unit pricing (MUP). Context is key for MUP, and Irish MUP will not automatically be legal as a result of this decision, but under the terms of the decision, and given the extensive and clear impact assessment conducted by the Irish government, as well as the already very high tax rates on alcohol in Ireland, it should not be difficult to demonstrate that MUP is an appropriate and necessary measure in this jurisdiction too. There was a last minute and intense debate on the inclusion of cancer warnings on alcoholic beverage labels. This proposal has perhaps been the most harshly criticised, as trade restrictive, stigmatising for Irish products and detrimental to the operation of the internal market. Mandatory health warnings on alcoholic beverages have not been directly addressed by the CJEU. Having said this, labelling and information provision have regularly been viewed by the CJEU as a proportionate form of public health intervention (for example, Van der Veldt, Commission v Germany, Neptune Distribution), and indeed the CJEU has stated that ‘labelling is one of the means that least restricts the free movement of products within the [EU]’. Furthermore, it can be argued that given the remarks made by the CJEU on the carcinogenic nature of tobacco in the Philip Morris case, and the strong evidence on the carcinogenic nature of alcohol (the third leading risk factor for disease and death in Europe behind smoking and high blood pressure), it is not unreasonable that the decision to warn of the risk of alcohol related cancer on warning labels, using a method of intervention that does not impair the substance of intellectual property or business rights, would be seen as proportionate. Cancer warning labels might stretch the limits of what is necessary to achieve the objectives of public health protection, but they arguably do not - given the existence of evidence on positive effects and Member States’ commitment at WHO level to consider stronger alcohol labelling requirements - go beyond these limits. mandatory health warnings in France. Targeted advertising restrictions have also been upheld as proportionate by the CJEU. The restrictions proposed by the Bill do not amount to a total prohibition on the advertising of alcohol, and indeed that is not their intention. Consistent CJEU case law has demonstrated that if advertising interventions are limited and targeted in scope, then they will be proportionate. Retail restrictions that serve public health purposes will likely fall within the exception to Article 34 TFEU that was created by the Keck decision – any non-discriminatory ‘selling arrangement’ will fall outside the scope of Article 34 TFEU altogether. Indeed, recent tobacco case law indicates that the CJEU will classify public health interventions concerning the retail of unhealthy products as selling arrangements, and do not appear especially motivated to interfere in the Member States’ legislative choices in this regard. The same argument applies to the restrictions on sale and supply of alcohol, which primarily concern price promotions, for example buy one get one free offers. Such restrictions would likely fall within the scope of a selling arrangement, and would therefore also fall outside the scope of Article 34. Thus, is relatively clear that four of the five interventions included in the Bill are compatible with EU internal market law. Furthermore, a coherent argument can be made that the Bill’s labelling provisions will also be compatible with internal market law. EU law supports the Irish government’s prerogative to adopt such measures, and indeed in the comments issued by the Commission on the Bill, concerns were raised regarding the labelling provisions, but they were not criticised as opponents of the Bill have asserted. Rather, the Commission used the comments to reassert Ireland’s right to adopt proportionate public health measures. Assertions regarding the incompatibility of the Bill with EU law fail to take account of the fact that the internal market is founded and has been developed upon the understanding that the responsibility of governments to protect their populations from various threats will often conflict with the commitment to protect free trade. The European Union Treaties explicitly provide that Member States can limit economic freedoms in a proportionate manner where a pressing social concern warrants intervention, and the CJEU has reinforced this time and again in the alcohol context. Moreover, both the right to health and the right to conduct a business are equally protected as a matter of EU fundamental rights law, and the CJEU has held that the right to health will outweigh the commercial rights of certain industries that contribute to public health epidemics. Those that criticise the Public Health (Alcohol) Bill wrongly assume that the internal market requires Member States to prioritise the rights and interests of business, and to deal with social issues in a way that best suits the business community. This is not the case – the internal market guarantees free movement, but does not guarantee businesses a trump card to play when they feel their interests are being infringed. Far from preventing the Member States from protecting their populations, EU law protects the Member States’ right and responsibility to do so in a proportionate manner - even if this would lead to a certain amount of disruption to the status quo of transnational trade. Even Member States sometimes misinterpret the cues given by EU public health law and policy, and this can lead to instances of regulatory failure – where mutual inaction by two regulatory actors results in an issue not being addressed. For example, one of the most salient debates on the Public Health (Alcohol) Bill concerns the minimum unit pricing provisions, and their implementation. Simon Harris has until very recently repeatedly insisted that the MUP provisions enacted in the Bill would not be implemented until similar provisions were brought into effect in Northern Ireland, based upon the belief that Irish public health policy should not produce negative effects for the transnational trade in alcoholic beverages in border counties. The special nature of the Irish border and the desire of the Irish government to make public health policy on an all-island basis may make political sense, but as a matter of law the CJEU has repeatedly held that ‘the fact that one Member State imposes less strict rules than another Member State does not mean that the latter’s rules are disproportionate’. EU law does not require Ireland to ensure that its policy choices are consistent with the policy choices in other Member States, and does not require that, once a barrier to trade has been justified, it is not implemented on account of possible trade distorting effects. The Irish government should bear in mind that internal market law permits each Member State to protect its own population in whatever way it sees fit, irrespective of choices made by other Member States, as long the barriers to trade it erects are proportionate. Simon Harris’ recent softening of his previous stance, through statements that Ireland cannot wait ‘forever’ to implement MUP, is therefore to be welcomed. However, some elements of the Bill have not escaped the trap of regulatory failure. While the provisions on alcohol advertising are already commendably strong, they could have been even stronger. Amendments were proposed in the final rounds of Dáil debate that would have increased the protection the legislation offered to children against online alcohol advertising. This would have given effect to a considerable body of evidence that suggests that children are vulnerable to digital and other non-traditional forms of alcohol advertising, which are hardly regulated at all by any Member State. However, Simon Harris rejected these amendments. Despite fully agreeing with their sentiments, the health minister rejected them on the basis that tackling online advertising is a task best suited for EU level action, and that Ireland should therefore not act until the EU has acted. Unfortunately this logic does not take account of the fact that the EU have already recently refused to increase the stringency of online alcohol advertising regulation. The Audiovisual Media Services Directive reforms leave EU provisions governing cross-border alcohol advertising unchanged, and even relax some of the rules on the provision of advertising services, to the detriment of children’s health protection. The Commission has repeatedly insisted that it will not propose harmonising legislation to regulate cross-border alcohol trade. In order for this to ever happen, Member States must commit to regulating the alcohol industry in their own territories. The conferral of competence upon the EU to regulate the internal market depends on the existence of barriers to trade, which can only exist if Member States have enacted sufficiently diverse regulations. Currently, regulation of online alcohol advertising is consistent across Member States in its virtual non-existence. The existence of at least some variation in national regulation would certainly put greater pressure on the Commission to adopt common rules, and would add some weight to the Member States’ political call for a European Union alcohol strategy. Thus, the Irish government’s position that Member States should wait for the EU to act has unfortunately led to a regulatory failure on an important public health issue. In summary, the Public Health (Alcohol) Bill is a bold piece of legislation that seeks to act on the substantial evidence base on alcohol related harm in Ireland. It is within the discretion of the Irish government to adopt, and contains interventions which make justified restrictions to free movement. Assertions that parts of it are not compliant with EU law fail to take account of the fact that EU internal market law preserves the right of the Member States to protect their populations as much as it protects the freedoms of traders. Misinterpretations of this prerogative, or of the reality of EU level public health policy, can potentially lead to inaction and regulatory failure. The Irish government has taken an important step towards reducing the burden of alcohol related harm in Europe, and other Member State governments should be encouraged to follow.